Since learning about the black carrot about a month or so ago, I have been fascinated with the idea of growing and eating them myself. The world carrot museum probably has the most information about them. They are grown in Turkey, the middle east and the far east. 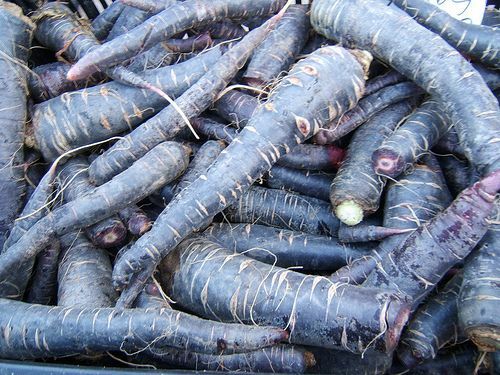 Black carrots are not the same as purple carrots, although they are in the same carrot family (eastern carrots). They contain anthocyanins, which gives them their dark color. I am currently searching for a supplier of black carrot seeds and will post any updates to this blog. Next Next post: Analysis of a Chinese Phishing Scam – Global Payments, Inc.